Lactose intolerance is a food intolerance caused by an inability to digest lactose, a sugar found in milk and dairy products. Unlike milk allergy, which involves an allergic reaction to a protein in milk, and happens after ingesting any amount of milk, lactose intolerance is due to not having enough lactase to digest the lactose sugars in milk and symptoms are related to the amount of lactose you ingest. 1. 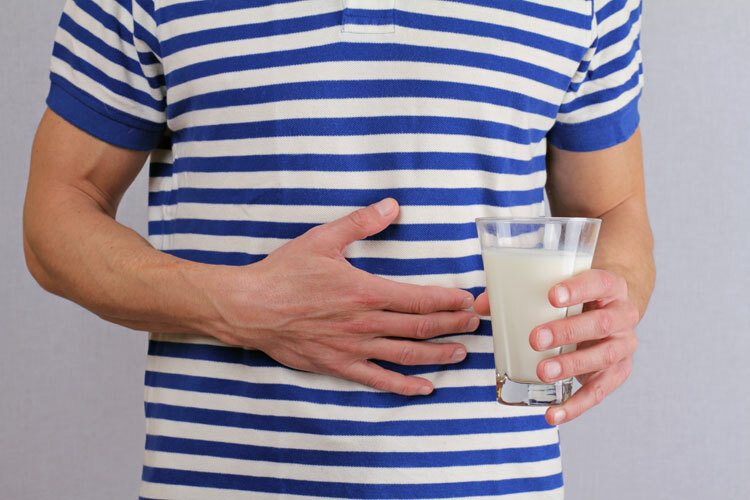 You develop symptoms of bloating, abdominal discomfort and cramps, or even vomiting, half an hour to 2 hours after eating foods containing lactose, such as milk, custard and yoghurt. 2. You get increased flatulence/gas after eating foods containing lactose. 3. Lactose-containing foods give you diarrhoea. 4. Your symptoms disappear after you remove lactose from your diet for 2 weeks. 5. You are of Asian descent, especially East Asia or China. People from these places may be lacking the enzyme lactase, which is the enzyme that the body uses to break down lactose. Lactose intolerance is also more common in people of African and South American descent. Remember milk and other dairy foods are an important source of calcium, which is important for the health of your bones, so don’t remove these foods from your diet without seeking advice from your doctor or dietitian first. If you think you may be lactose intolerant, consult your doctor who should be able to organise tests to diagnose your condition.